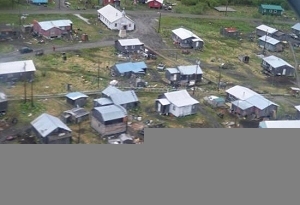 Akiachak is located on the west bank of the Kuskokwim River, on the Yukon-Kuskokwim Delta. It lies 18 miles northeast of Bethel. It lies at approximately 60° 54' N Latitude, 161° 25' W Longitude (Sec. 36, T010N, R069W, Seward Meridian). The community is located in the Bethel Recording District. The area encompasses 10 sq. miles of land and 2 sq. miles of water. The area was used by the Yup'ik Eskimos as a seasonal subsistence site. Called "Akiakchagamiut" in the 1890 census, the village had a population of 43 at that time. A post office was established in 1934. It incorporated as a second class city in 1974, but the city government was dissolved in 1987 in favor of traditional village council governance.